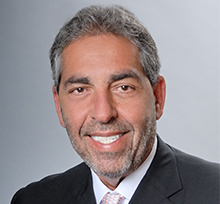 Ed Weisfelner is the Chair of Brown Rudnick’s Bankruptcy and Corporate Restructuring Practice Group. He is also a member of the Firm’s Management Committee. He has nearly 35 years of experience representing official and ad hoc creditors’ and equity holders’ committees, individual creditors, indenture trustees, equity holders, and other parties in many of the nation’s largest in-court and out-of-court restructurings. Ed has also served as a court appointed litigation trustee, mediator and examiner. Represented the Official Committee of Equity Security Holders in the Chapter 11 case of Adeptus Health Inc. Representing Lead Counsel in the GM Ignition Switch Defect MDL Litigation as Plaintiffs’ Designated Counsel in U.S. Bankruptcy Court for the Southern District of New York, opposing GM’s motion to enjoin plaintiffs’ economic injury claims based on the injunction contained in the bankruptcy Sale Order by which the assets of Old GM were transferred to New GM in the GM bankruptcy in 2009. Counsel to Plan Sponsor in Pacific Exploration & Production Corporation’s cross-border restructuring. Counsel to the Ad Hoc Equity Committee in Ultra Petroleum Corporation. Counsel to Ad Hoc Committee of Second Lien Noteholders, and Special Counsel to Indenture Trustee, in the Chapter 11 case of Energy Future Holdings (TXU), the largest energy producer in Texas. Counsel to the Official Creditors’ Committee in the Chapter 11 proceedings of Dewey & LeBoeuf LLP, the largest law firm Chapter 11 filing. Counsel to Wilmington Trust, co-chair of the Official Creditors’ Committee in the Chapter 11 proceedings of AMR Corporation, the parent of American Airlines. Counsel to the Official Creditors’ Committee in the Chapter 11 proceedings of Lyondell Chemical Company which, together with its non-debtor affiliates, is one of the largest petrochemical and refining companies in the world. Ed currently serves as Litigation Trustee for two separate trusts established in connection with Lyondell’s confirmed plan. Counsel to the Official Creditors’ Committee in the Chapter 11 proceedings of Six Flags, Inc., one of the largest amusement park operators in the world. Counsel to Icahn Partners in the Chapter 11 proceedings involving the Trump Taj Mahal and affiliated gaming operations. Counsel for the Official Creditors’ Committee in the Chapter 11 proceedings for Global Crossing. Counsel for the Official Equity Committee in the Chapter 11 proceedings of Pilgrim’s Pride Corporation. Counsel for the Official Equity Committee in the Chapter 11 proceedings for Mirant Corporation, ranked as the 11th largest bankruptcy case in US history. Counsel for the Ad Hoc Committee of Trade Creditors in the MCI/ WorldCom Chapter 11 cases in the U.S. Bankruptcy Court for the Southern District of New York. Counsel for the Official Committee of Equity Security Holders in the Comdisco Chapter 11 proceedings pending in the Northern District of Illinois. Counsel for the successful plan sponsor in XO Communications, Inc.’s Chapter 11 case in the Bankruptcy Court for the Southern District of New York. Counsel for the Ad Hoc Committee of Trade Creditors in the Adelphia Communications Chapter 11 case. Listed in the 2018 edition of Chambers USA for Bankruptcy & Restructuring in NY and was described as "a tremendous strategic thinker and great all-around lawyer." Clients report, "He is smart and has been around a long time. He is intelligent and savvy, as well as aggressive," and add that "he is excellent in court; he pays attention to what interests the judge and homes in on that." Listed in the 2018 edition of Chambers USA for Bankruptcy & Restructuring Nationwide. Sources say that "he has a niche in the market for representing 'out-of-the-money' creditors, and is a good-quality advocate." Listed in the 2018 edition of Chambers Global for Bankruptcy & Restructuring and was described as "beyond renowned" and a "tremendous lawyer." Honored by UJA-Federation of New York Bankruptcy and Reorganization Group with the 2015 Professor Lawrence P. King Award, a prestigious philanthropic award given to a leader in the bankruptcy and reorganization industry "whose spirit of generosity and kindness is both boundless and selfless."